According to new forecasts by Frost & Sullivan, the European market for type 2 diabetes drug treatments is set to grow 3.8% yearly, from a value of 9.50 billion euros in 2009 to 15.46 billion euros in 2017. More than 55 million people in Europe were diagnosed with diabetes in 2012, and this figure is expected to reach 64 million by 2030, the study notes. The growth rate of the insulin segment accounted for around 52% of Europe’s total European type 2 diabetes market in 2012, and is being boosted by the advances seen with modern insulin. Several insulin analogues in development could potentially offer better overall outcomes resulting from their liver-targeted action. Around Europe, the study found that the biggest challenge to UK diabetes care is the reform of commissioning structures, combined with 40.61 billion euros-worth of efficiency savings, resulting in reductions in specialist treatment. In comparison, in Germany the need for a standard national diabetes plan remains the key area of focus. 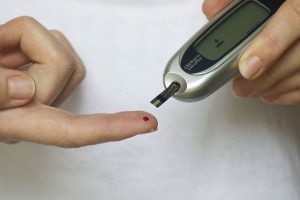 Market growth for type 2 diabetes’ sales will likely be dependent upon testing volumes, which will in turn drive expansion for diabetes diagnostics and therapeutics, with a number of new products anticipated to launch in the next two years. The Netherlands is confronting key challenges such as prevention care, understanding the results of the bundled payment approach on healthcare and multi-morbidity, while in Norway the main challenge over the next two years will include the roll-out and financing of the national strategy for diabetes, in addition to the establishment of diabetes registers. Italy has introduced new, potentially innovative drugs with monitoring projects that aim to outline the future role of new medicines in clinical practice. Italy’s focus on integrated management and care is likely to result in the country bringing multiple diabetes services under one roof. France’s approach to confronting diabetes is to address it within the fight against chronic disease and promotion of improved nutrition. French diabetes patients also benefit from full reimbursement of all treatments and supplies. In Spain, where the prevalence of gestational diabetes was as high as 8.8% in 2011, telemedicine is being introduced in hospitals for diabetes care, which is likely to improve speed and access to care. In Sweden, expected changes over the next two years include implementation of patient-focused diabetes care, research and education. Frost & Sullivan also noted that Finland is reportedly the world’s first nation to have introduced a comprehensive programme providing patients with annual and biennial check-ups.